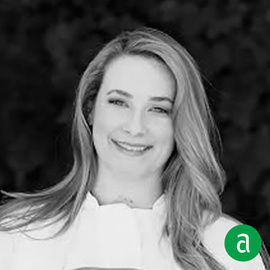 Amalia Scatena, Culinary Director at Easton Porter Group in Charleston, shares her career timeline and advice for up-and-coming talent. I worked at a little sandwich place when I was in school as an intern. It was the first time I was introduced to the fast pace of the restaurants, and it changed the game for me. I knew this was it from then on. I wanted to do something with food since I was a little kid. I knew from an early age that I knew I wanted to do this. It wasn’t until in culinary school, and my first restaurant job that I knew this was it for me. I also used to read cookbooks as a young child so I was locked in way early in my childhood! Being neat and organized are really good qualities. I don’t want to forget to mention punctuality as well. If you can come in with the basic technique and people skills, you’ll be able to work under any chef. Local farmers and purveyors are huge. When I’m changing the menu, I always look to them for the freshest ingredients and what’s in seasonality. I also refer to magazines, cookbooks and social media for inspiration. You have the classics and then you have the new up and coming chefs. It’s a great balance to read both for inspiration. Eating out and traveling is also great! Two things that I cannot do my job without are: going to the gym, and my dishwashers. I cannot live without them!